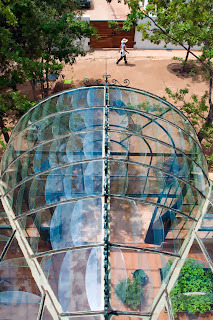 Maybe because to me it's such a reference I forget that it's not so well known.. 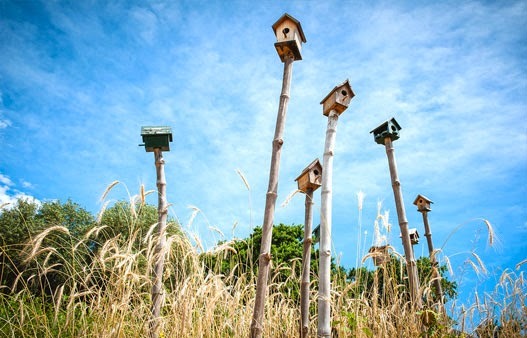 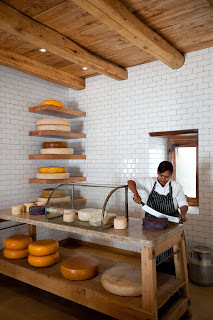 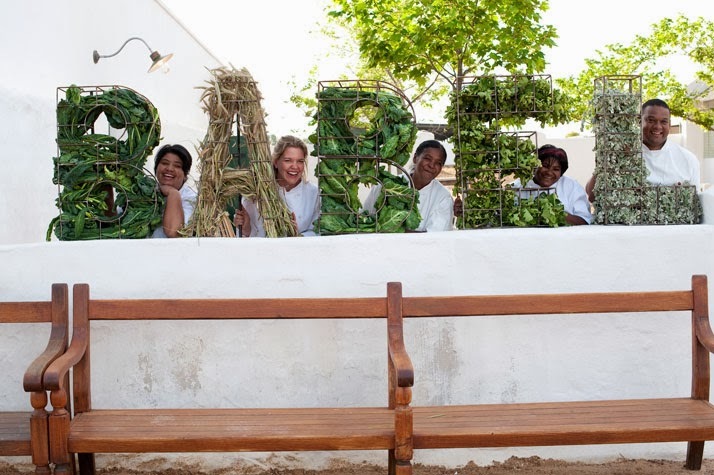 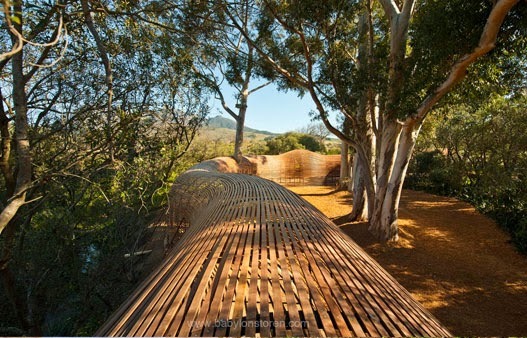 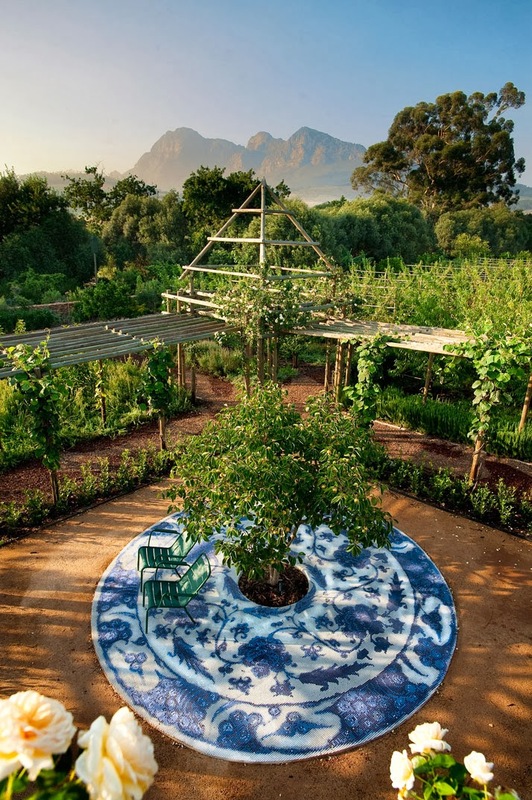 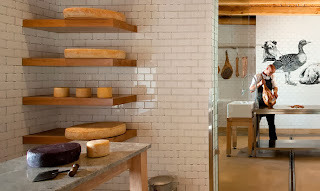 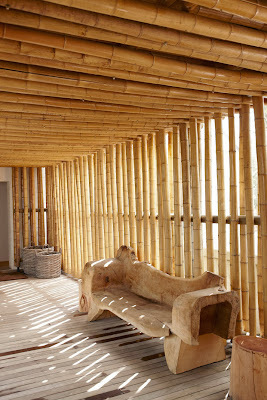 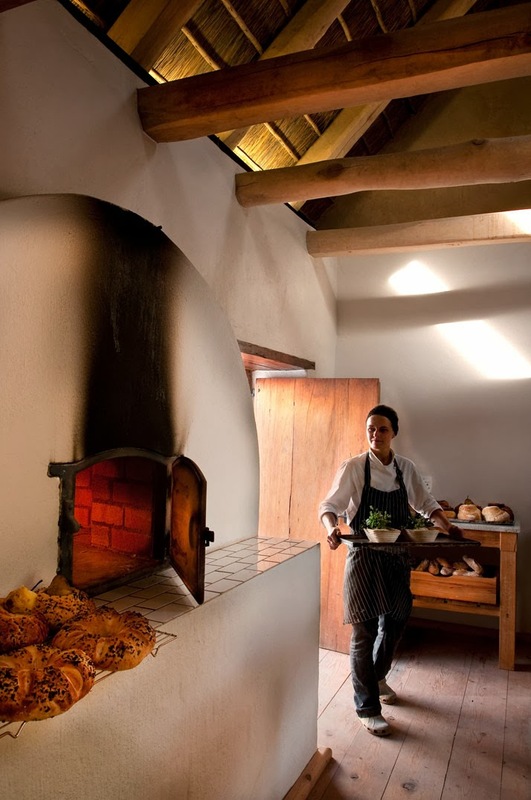 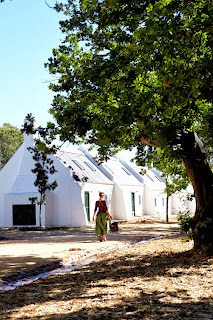 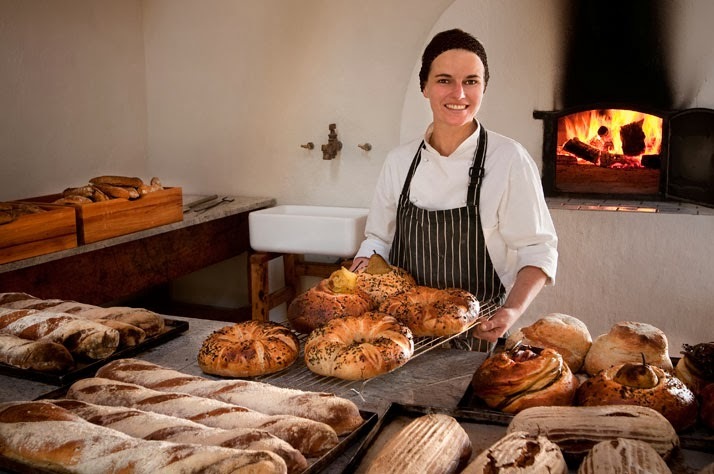 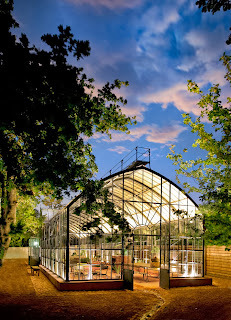 If you never heard of Babylonstoren, now is the moment to google it!! 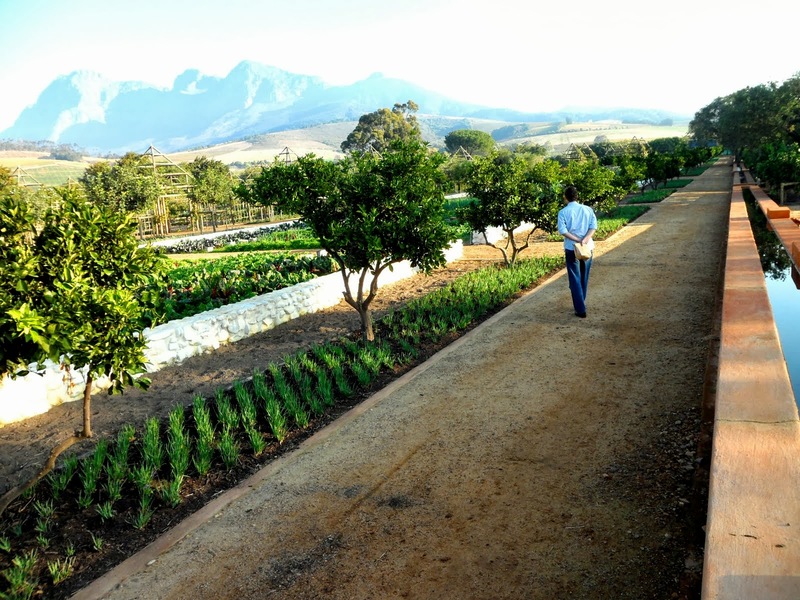 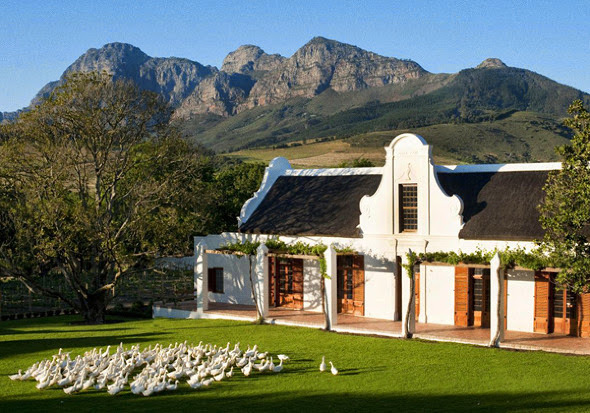 It's a gorgeous farm set in South Africa. 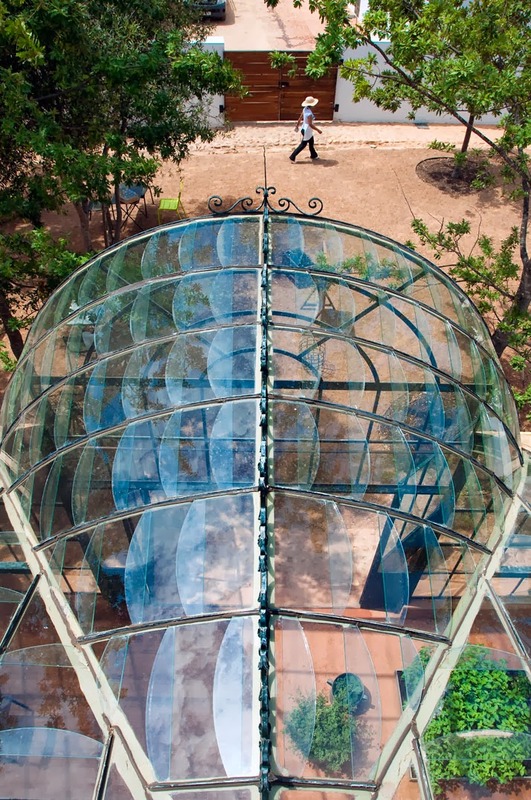 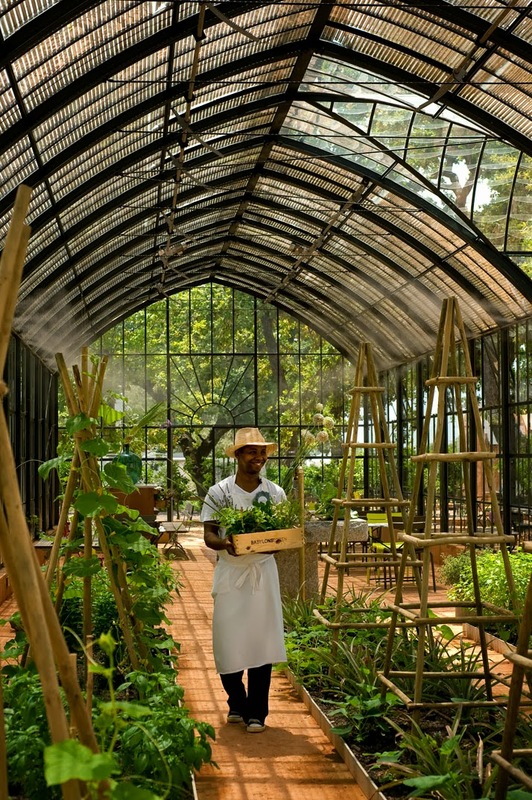 They produce all their veggies, fruits and herbs in an insanely huge garden! 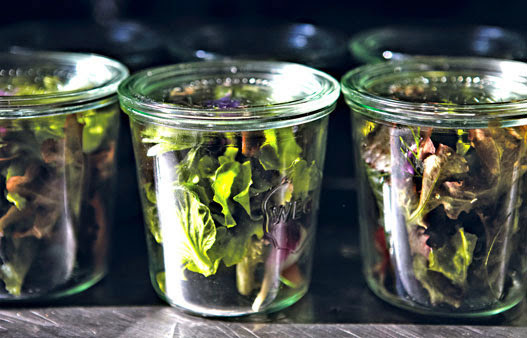 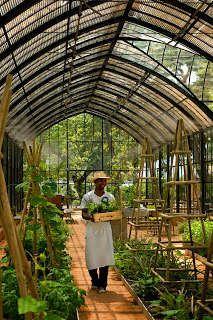 They serve up all their daily picked fresh from the land veggies and fruits at their restaurant Babel. Just discovered they have a cookbook, which I am making some great food out of as we speak! 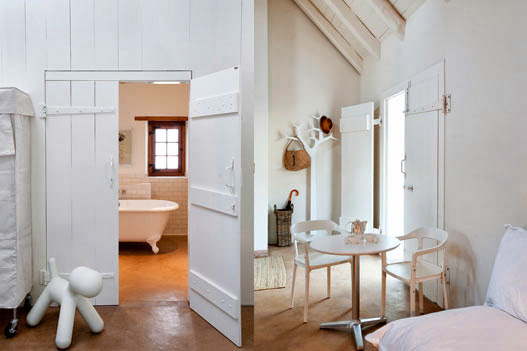 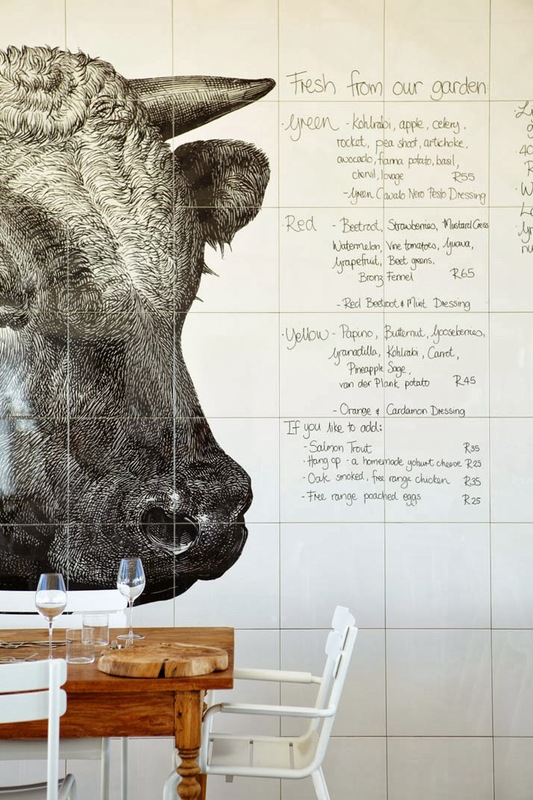 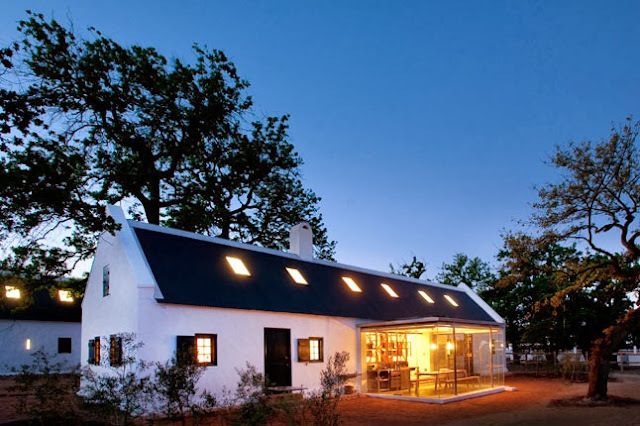 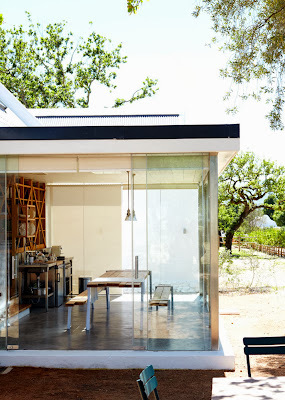 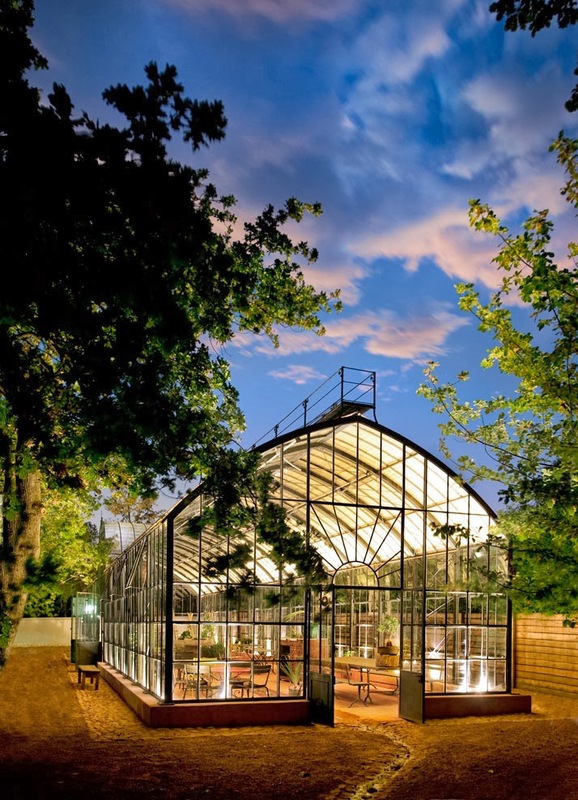 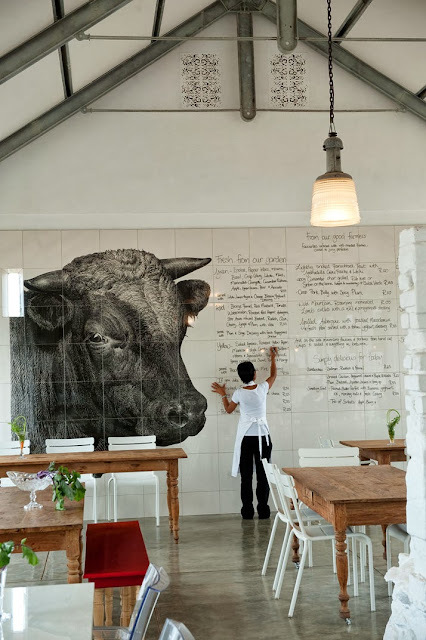 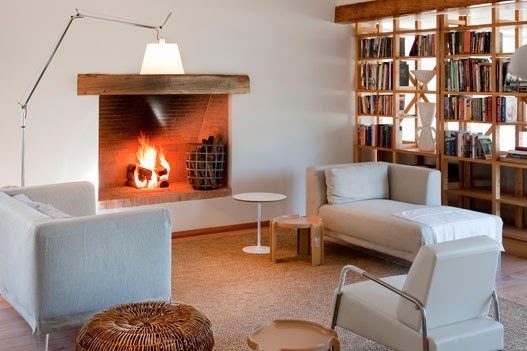 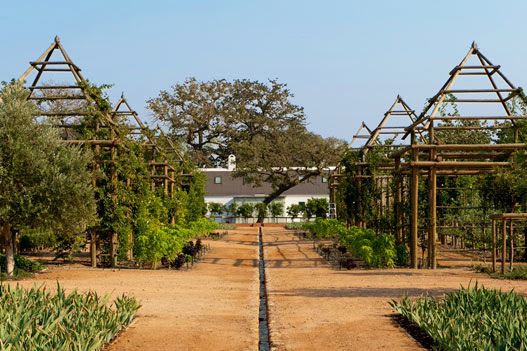 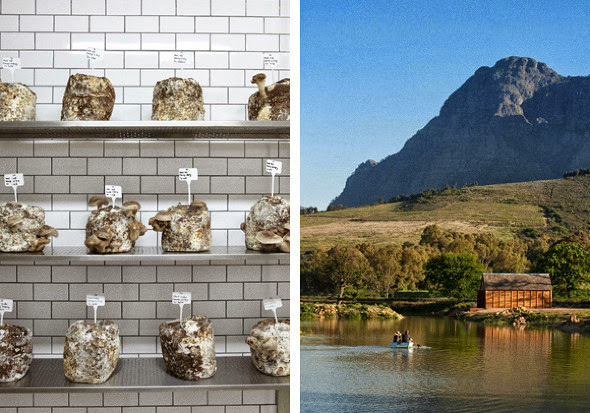 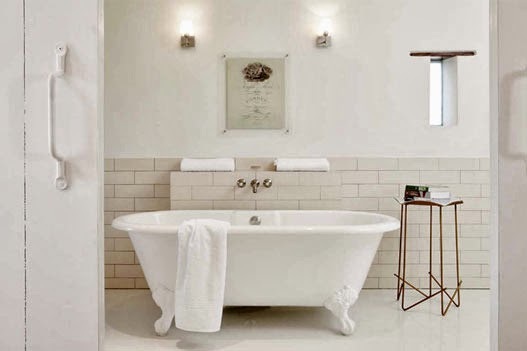 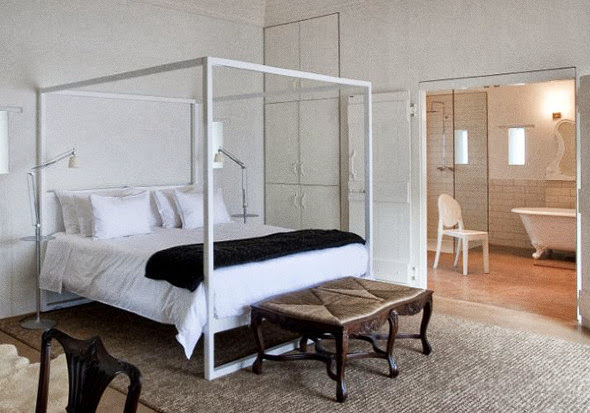 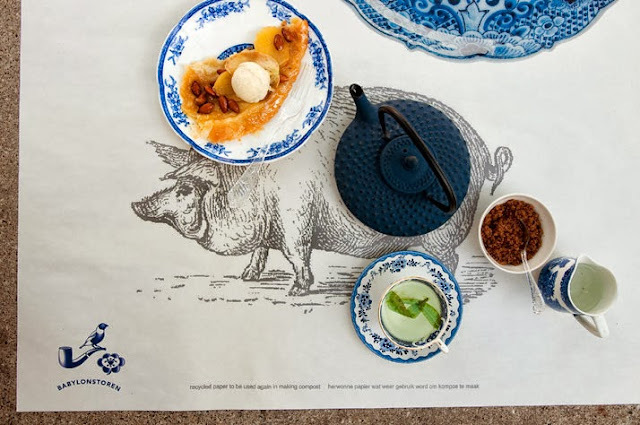 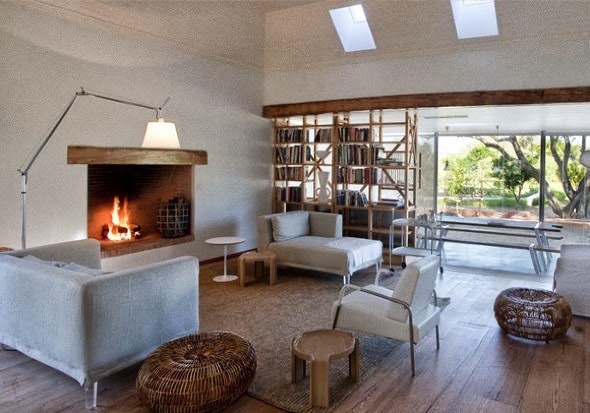 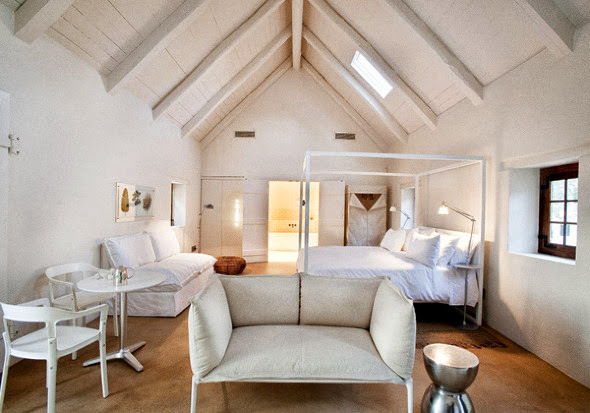 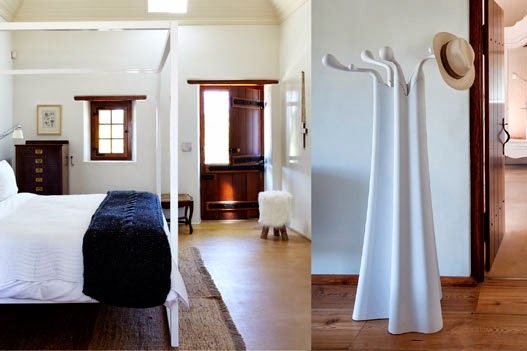 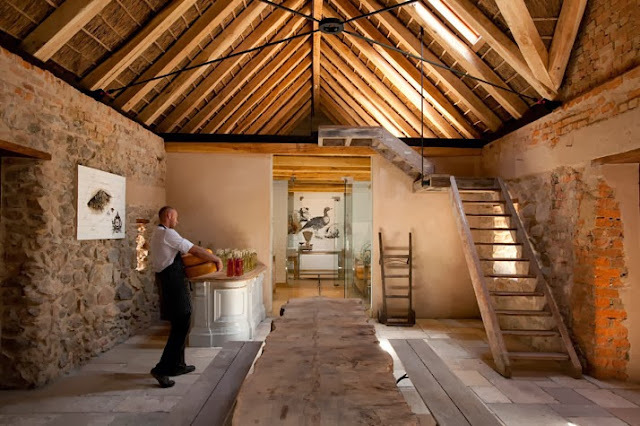 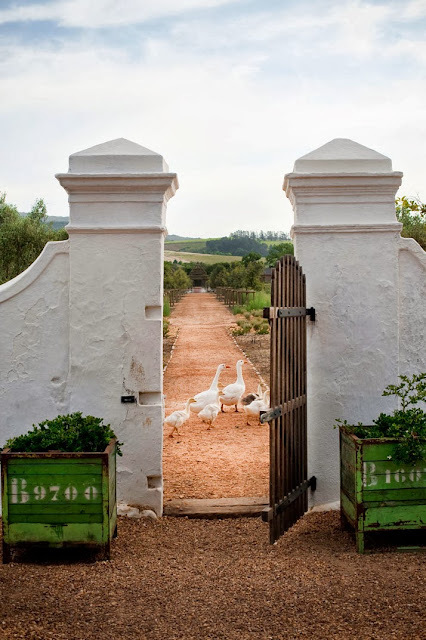 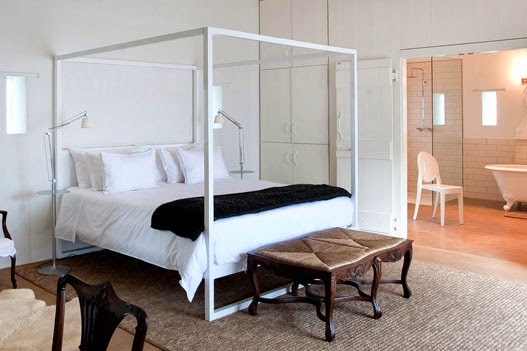 The stylish twosome behind Babylonstoren, he media mogul Koos Bekker an she Karen Roos editor at Elle Decor, also created a hotel,spa and expanded with the latest addition , a tearoom. 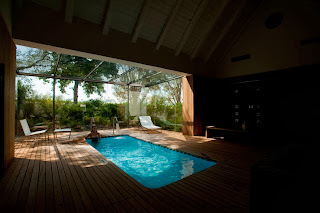 I think I could fill the whole blog just with pictures from this place! 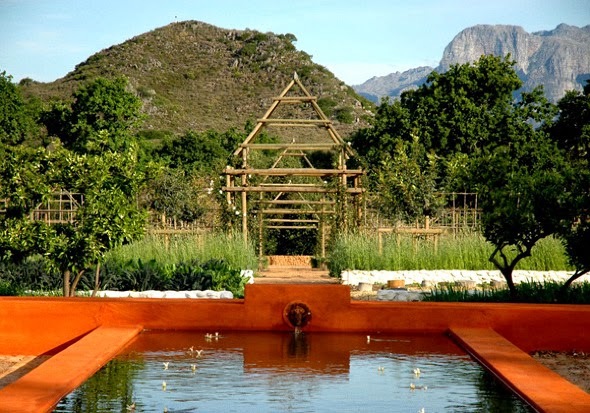 It's that pretty and spectacular! So stop reading and just enjoy !